Cadillac has unveiled the new luxury crossover called the XT5. This is the first in a series of new luxury crossovers and all of them will wear the XT designation. Caddy designed the crossover to be lighter than the older Cadillac SRX crossover and competitors. 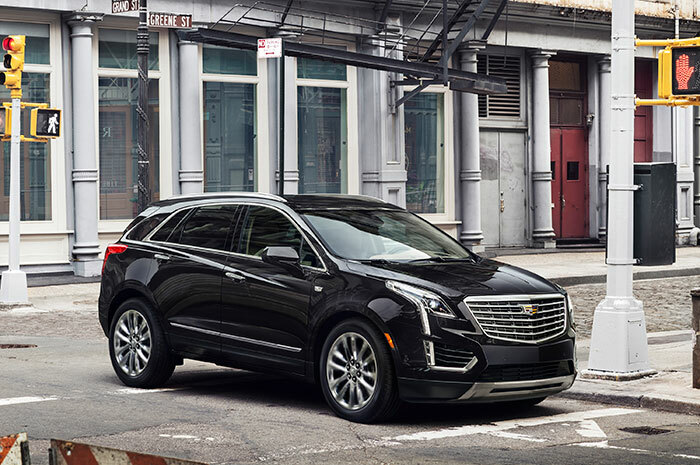 The XT5 is 278 pounds lighter than the SRX and 100 pounds lighter than the Audi Q5. That lightweight is despite that the XT5 is seven inches longer than the Audi Q5. When compared to the Mercedes GLE the XT5 is 650 pounds lighter. Lighter weight means improved fuel economy and better performance. Cadillac points out that the lightweight is achieved without compromising crash protection. Power for the XT5 will come from a 3.6L V6 used in the ATS and CTS cars and will make 310hp and 270 lb-ft of torque. In China, the XT5 will come with a 2.0L turbo engine with start/stop tech. The US V6 has cylinder deactivation. All versions will use an 8-speed auto with electronic Precision Shift tech, a first for Cadillac. Production will kick off in the US and China this spring and the official debut will happen at the LA Auto Show this month.